If defence purchase processes are found to be faulty, they should be addressed at that level without questioning the equipment under procurement and adequately amended. It is not just the purchase of 36 Rafale jets from France, defence acquisition has always been an issue that invokes deep public interest. The issues of proper process, due diligence, need assessment, user requirement specifications, and the numbers required have all been freely debated. The nuances, however, differ, depending on who is debating the issues. There are all sorts of allegations flying around as to why the initially proposed acquisition of 126 jets was pared down to 36. Allegedly, the Joint Secretary in charge of the Air Acquisition Wing had raised a note of dissent on the grounds that the benchmark price for 36 jets was higher than that for the 126 jets, and the objection was overruled by the Director General (acquisition). The offset story has been doing the rounds, as has the controversial offset partner chosen by Dassault. All of this is germane to the debate about India’s Rafale defence deal. But somewhere in all this brouhaha, there are limited voices defending the efficacy of the aircraft and how it is likely to impact the preparedness of the Indian Air Force. This trend has been evident in past acquisitions too, whether it was the Bofors guns, the HDW submarines, or AgustaWestland helicopters. While there is no getting away from the fact that due process is of paramount importance and must be rigorously followed, the actual virtues of the equipment and the heft it provides in force preparedness is often lost in the noise. Also Read: Rafale, Bofors, AgustaWestland: Why is every Indian defence deal hit by scam allegations? The politicisation of the process is loud and overwhelming. Media channels are all in a twist, bringing in opinions of experts, retired defence personnel, and defence commentators, and the general public is subject to this crescendo, which flies fast and furious in different directions. The fact remains that all the acquisitions, at the centre of similar controversies in the past, have proved themselves in battle. It is about time that the difference between process, the equipment itself and its use to the Services Headquarters is identified and dealt with on a separate level. The user requirement specifications (URS) for equipment, weapons and weapon systems come from the Services Headquarters. The Request for Proposal (RFP) is drawn up by them in consultation with the ministry of defence, after taking cognisance of procedures listed in the Defence Procurement Process manual. This process gets lost in all the noise as the political debate on “what if” places the burden of proof squarely at the feet of the ministry. Joint consultative processes are key to acquisition. The India Offset Process was amended about a couple of years ago to make it easier for vendors to fulfil their offset obligations and in a bid to encourage and develop the involvement of the Indian defence industry. The stringent process for procurement and the various levels of screening required, consultation with the Ministry of Finance, and the final clearance by the Cabinet Committee on Security, make for several levels of screening. The ultimate user of the product, the Indian Air Force, says it is very happy with the procurement. 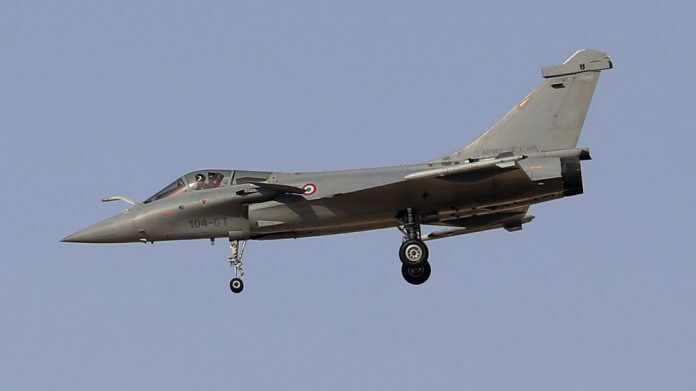 The Air Chief has gone on record to say that the previous deal for 126 aircraft fell through because of irresolvable differences between Dassault and HAL on production timelines. To break the impasse, this was a practical step, as starting the process ‘de novo’ would have meant a much longer procurement period. By their own admission, the IAF feels that the S-400 defence missile systems along with the 36 Rafale jets will provide them with a much needed fillip in the face of depleting squadrons. There is a need to look at defence system acquisitions from different angles, without necessarily having them overlap. Once the efficacy, suitability and need have been drawn up, the actual acquisition of the system should not need debating. If processes are found to be faulty, they should be addressed at that level, without questioning the equipment under procurement. But on the other hand, excessively stringent procedures are detrimental, cut down the number of vendors, and impact competition. We have had a history of blacklisting vendors due to process defaults irrespective of the quality of the equipment. It is only right that such defaults be addressed at the strictest levels, and those found to be errant need to be dealt with zero tolerance. But stopping acquisition midstream or restarting procurement processes takes defence preparedness back by several years, as the process is long-drawn. Considering the increasing areas of influence of some of our neighbours, there is a need to accord preparedness paramount importance. The author is a former civil servant and has worked with the ministry of defence. Her views here are personal.